Hi readers! Today marks day two of my quest to swatch untried polishes in my stash. For so long there I was on "BUY BUY BUY" mode but I had so much other swatch work that those new and exciting polishes were neglected. Well, no more untried nail polish sadness here! 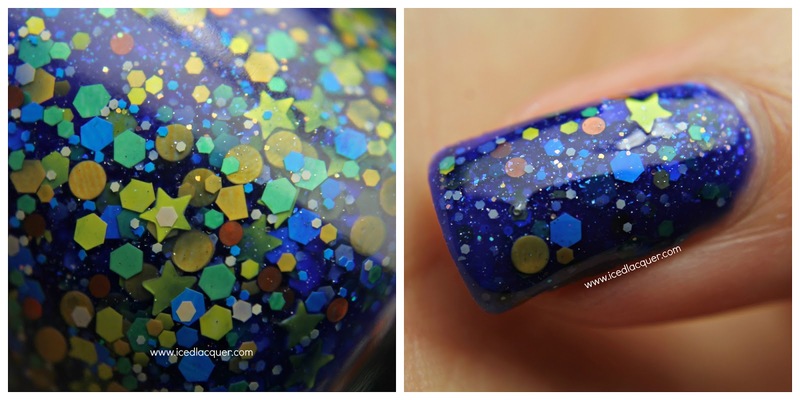 "Cast a Spell" - A medium blue jelly base filled with various sizes of hex glitter in yellow, green blue, white, and orange, large orange and small red dots, yellow star glitter, tiny metallic gold hexes, and a strong blue flakie shimmer. The formula was pretty good, although I did have to do a bit of fishing for the stars. My photos show three coats plus top coat. Color name: "Cast a Spell"
Where to buy: This was a limited edition polish so it's no longer available, but you can find other shades in the Reverie Etsy shop. My opinion: I think Reverie Nail Lacquer might be my favorite new brand from last year. When I first saw swatches of "Secret Garden" and "Tide Pools" I was immediately impressed and knew this was going to be a brand to follow! Anytime a limited edition shade was announced you can bet I was stalking the Etsy shop waiting to pounce. I mean, just look at this one! 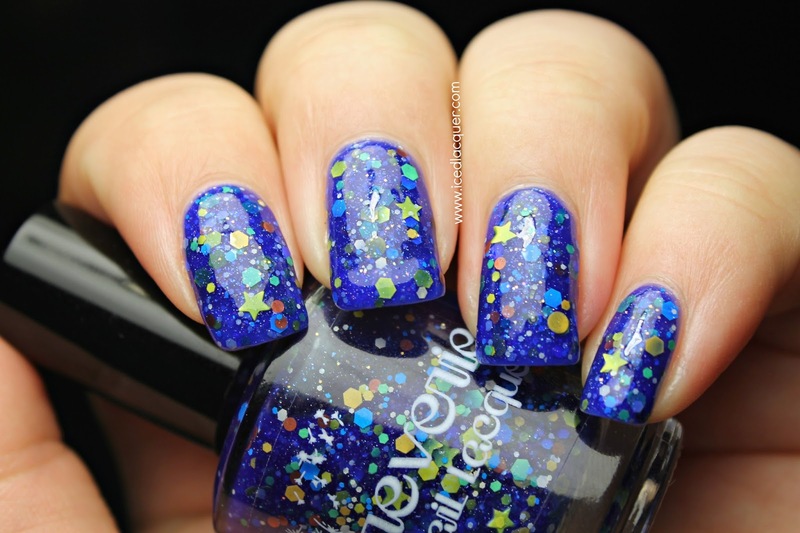 The combination of the blue jelly base, the fine shimmer, the interesting mix of glitter, and especially the star glitters make this absolutely unique in my collection. 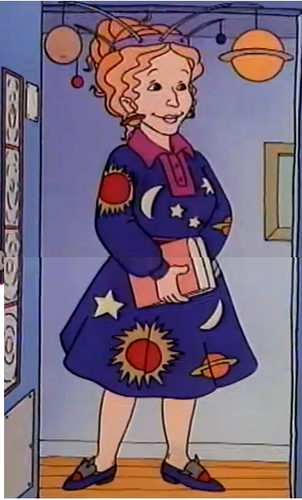 For some reason the combination totally reminds me of Ms. Frizzle from The Magic School Bus! 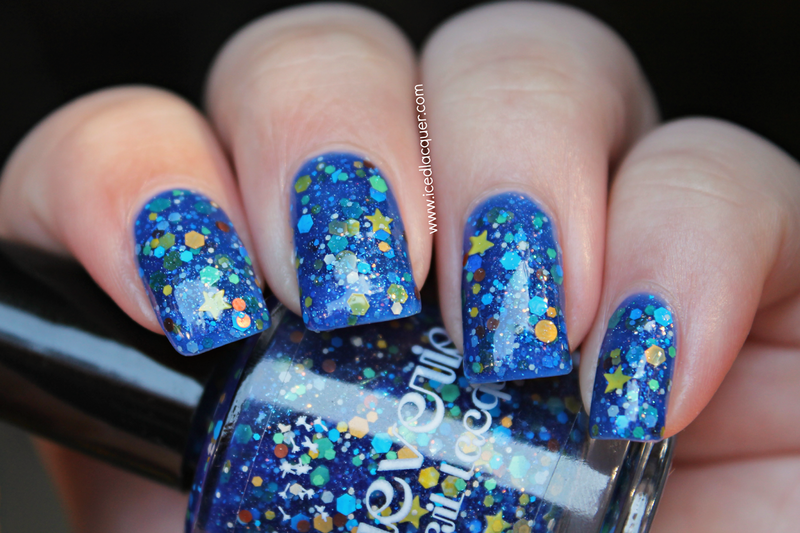 So yeah, another winner from Reverie Nail Lacquer if you ask me! The blue base in this is absolutely gorgeous! A perfect blue.